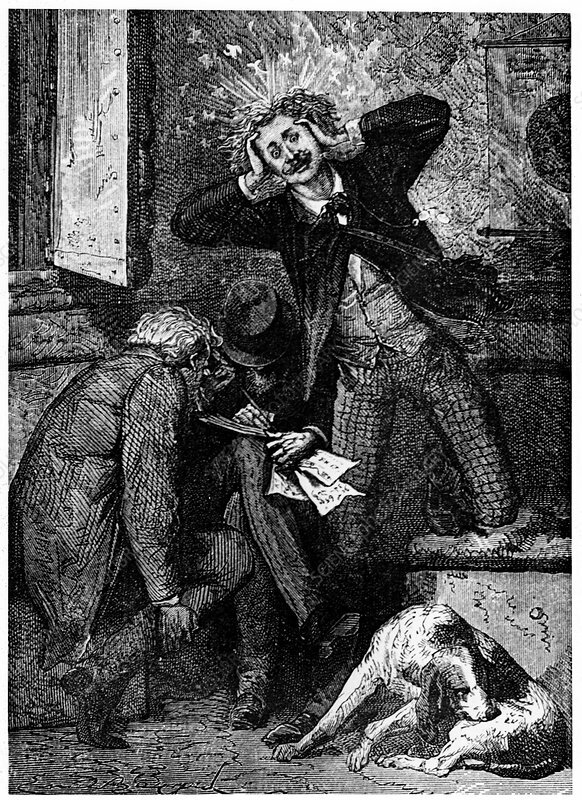 Illustration from De la Terre a la Lune by Jules Verne, 1865. In the space capsule: calculations making the narrator's head spin. From De la Terre a la Lune (From the Earth to the Moon) by Jules Verne.